RGB + Tunable White LED Strips with LED Controller overview. 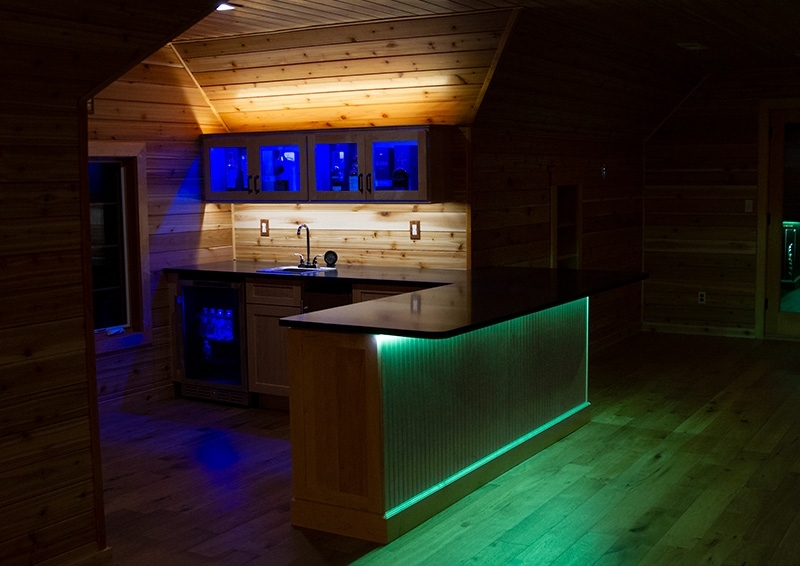 Control the color and tunable white illumination easily and conveniently. Use this RBG+Tunable White controller with wireless RF remote to control your RGB+Tunable White LED strip lights. Choose from 9 color-changing/white modes and adjust speed, brightness, saturation, and color temperature. 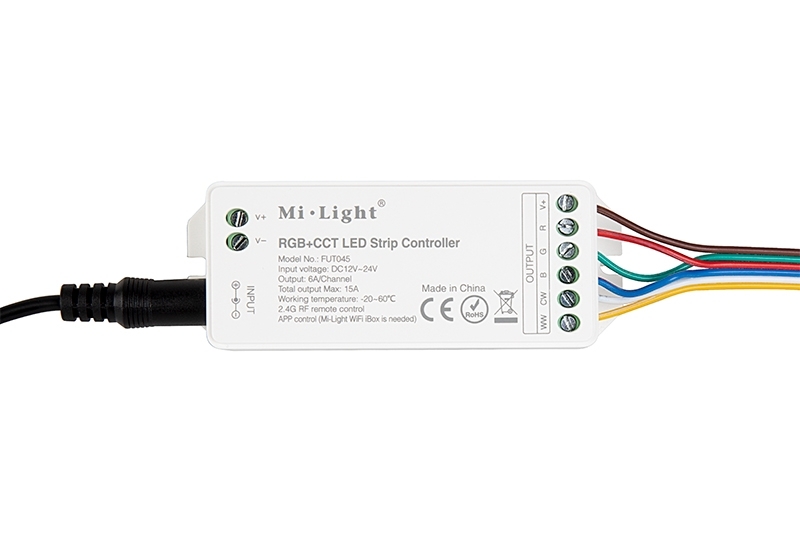 Control your light strip from up to 100' away. Power-cycle mode retention allows your light strip to return to the mode that was selected before it was powered off. 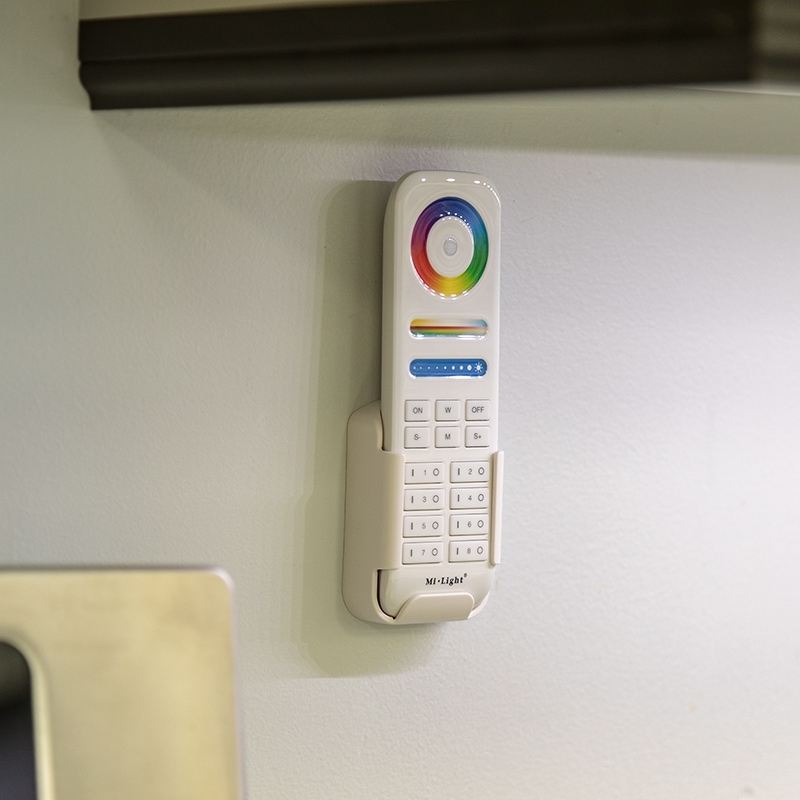 The touch-activated/push-button remote has a color wheel as well as brightness and saturation/tunable white sliders. Control up to 8 separate light zones. 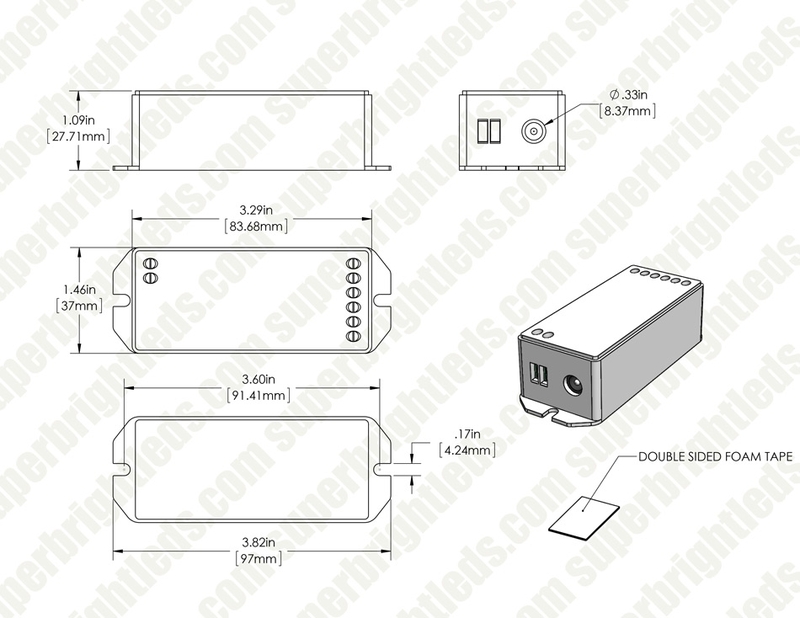 The controller has a maximum load capacity of 6 amps per channel and is compatible with LED light strips that operate on 12-24 VDC. Pair up to 4 remotes with one controller. 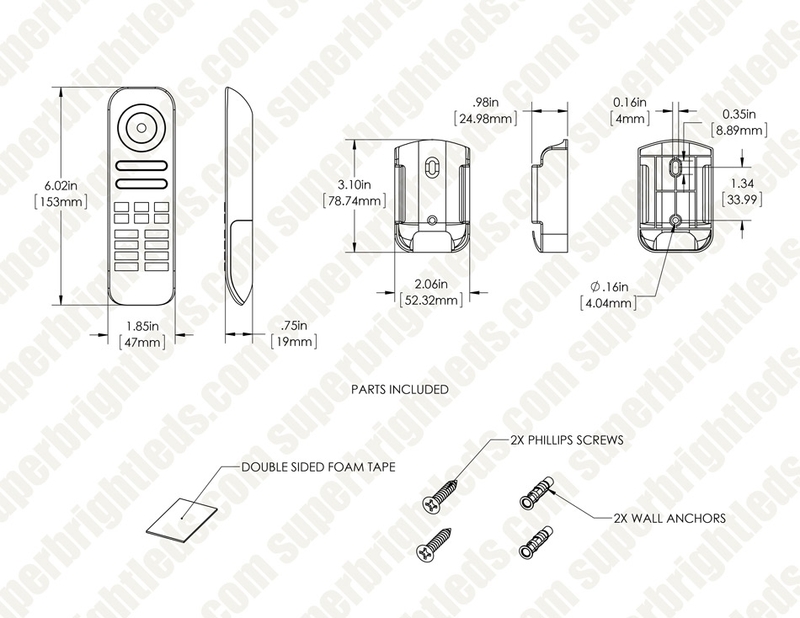 The remote requires 2 AAA batteries (not included) and comes with a wall-mounted holder and installation hardware. 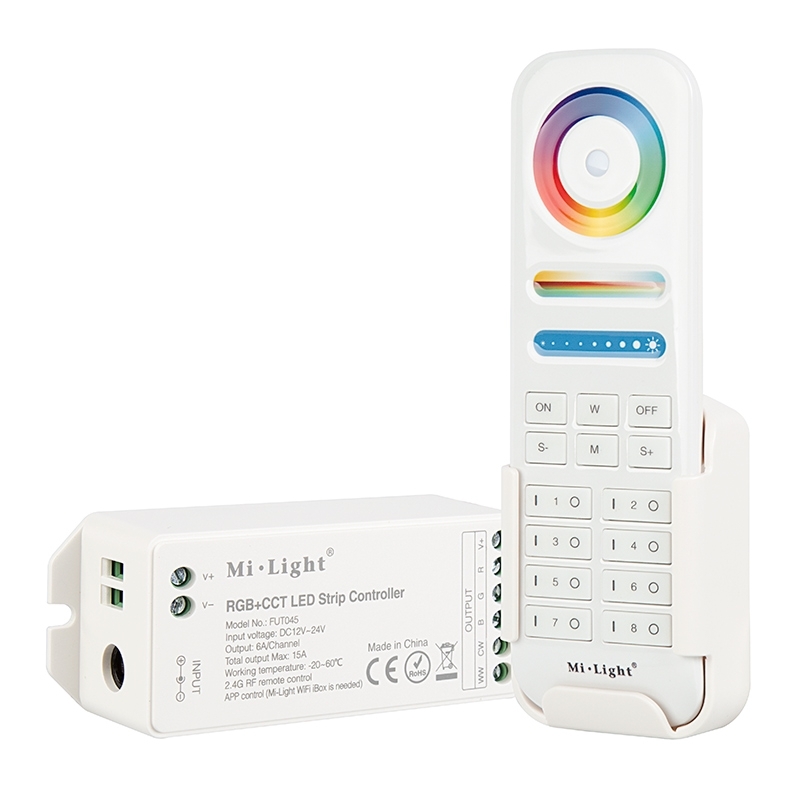 You can also control strip lights with your smartphone by using this controller with a Wi-Fi Hub (sold separately).